Developed in a joint venture by two of South Africa’s leading property companies, Growthpoint Properties Limited and Zenprop Property Holdings, the iconic new 112,000sqm resource-efficient, cost-effective and environmentally-innovative Discovery head office is the largest single-phase commercial office development in Africa. Aurecon is responsible for overseeing the delivery of the developers’ and Discovery’s green intent for the building. Their role has been to ensure it has been designed and constructed with the highest sustainability credentials to demonstrate leadership in the transformation of the South African real estate industry. Features of the new building which have contributed to the rating include energy optimisation through the advanced design features of its envelope and building services. High-efficiency air conditioning that leverages an outside air economy cycle and indoor air CO2 monitoring. Added to this is low-energy lighting, occupant control and daylight optimisation, as well as the building’s standout high-performance double-glazed curtain wall. The building is wrapped around a series of sunlit atria that plug into a central concourse. The design of the atria and skylights result in an abundance of natural light without compromising occupants’ comfort and energy performance. Grey and rainwater systems, efficient sanitary fittings, efficient irrigation system and water-wise landscaping contribute to the building’s optimal water performance. Yovka Raytcheva-Schaap, the Aurecon associate for environmentally sustainable design consulting and project management for the project, points out that, most notably, the Discovery building creates an environment that is centred on occupants’ health and well-being. Aurecon’s Martin Smith adds that the expansive ground floor of the building accommodates Discovery’s retail partners, client services, walk-in centre, staff restaurants and coffee shops, offering an energising experience to both visitors and staff alike. 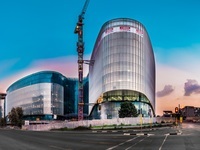 Located on the corner of Rivonia Road and Katherine Street, diagonally opposite Sandton City and one block from the Sandton Gautrain Station, the building comprises three linked office towers which consist of a ground floor, eight office floors and a roof level, which holds Discovery’s sports facilities. It will also offer nine basements with over 5,000 parking bays. Discovery is expected to take occupation of the property, which is owned by Growthpoint (55%) and Zenprop (45%), towards the end of this year. Discovery is a proudly South African-born, global company with health, life and short-term insurance operations in South Africa and the United Kingdom, and a presence in Germany, France, the United States, Canada, Australia, Singapore, Hong Kong, Philippines, Thailand, Malaysia, China and Japan through our Global Vitality Network. Discovery upholds a promise of shared value by being a positive disruptor that focusses on bringing about sustainable change in the lives of the people and communities it serves across the globe. 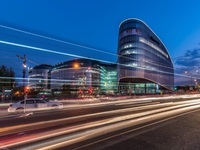 Growthpoint is the largest South African primary listed REIT and a leading international property company. It provides space to thrive with innovative and sustainable property solutions. 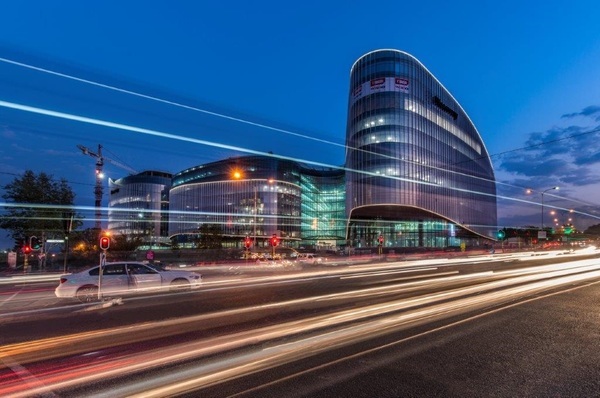 Growthpoint is a Platinum Founding Member of GBCSA, a member of the GBCSA’s Green Building Leader Network, and a component of the FTSE4Good Emerging Index and has been included in the FTSE/JSE Responsible Investment Index for eight years running. It owns and co-owns the largest portfolio of certified green buildings of any company in South Africa and is recognised as a leading developer of green buildings. 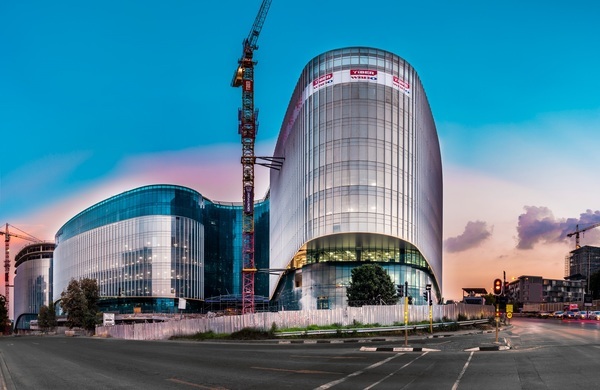 Zenprop has established itself at the forefront of world-class office development in Sandton, and has a proven track record of successful planning, design, tenant coordination, construction, delivery and post construction property and facilities management spanning nearly 20 years. The Green Building Council South Africa (GBCSA) is an independent, non-profit company that was formed in 2007 to lead the transformation of the South African property industry, and is one of 75 members of the World Green Building Council. The GBCSA's purpose is to inspire a built environment in which people and planet thrive and operates in the commercial, residential and public sectors. The organisation works with its membership community to sustainably transform the built environment to design, build, operate and tenant better, greener buildings, operating through advocacy, membership, certification and training. Aurecon is a global engineering and infrastructure advisory company that is focused on designing a better future. Imagining what is possible, we turn problems into solutions. We provide advisory, design, delivery and asset management services on projects across a range of markets, in locations worldwide. Understanding the value of expertise, we mobilise our global pool of talent to understand and solve the critical and complex problems you face. We seek to unravel complexity, create clarity and invent new value for you. We bring ideas to life by partnering with you and using our innovation and expertise, with technology, to solve your complex problems.